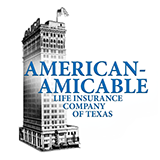 A Excellent, the third highest rating out of 15 categories, was assigned by A.M. Best to American-Amicable Life insurance Company of Texas on February 13, 2015. A.M. Best is a large third-party independent reporting and rating company that rates an insurance company on the basis of the company’s financial strength, operating performance and ability to meet its ongoing obligations to policyholders. American-Amicable’s total investment portfolio is well-diversified and provides a proper mix between risk and reward. Consistent with our philosophy of managing money wisely, the Company invests only in investment grade bonds, mortgage loans diversified geographically and by property type, and common stocks of large companies that offer attractive dividends. This philosophy enables us to successfully operate a financially stable, highly competitive insurance business. 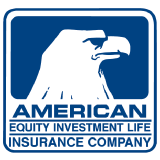 American Equity is one of the top indexed annuity providers specializing in designing secure, innovative retirement solutions and providing financial stability with our broad product line of fixed and indexed annuities. 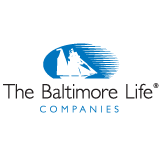 We have a strong commitment to superior customer service, product integrity and secure retirement planning. Based in the heart of the Midwest, West Des Moines, Iowa, we are one of the few American-owned, American-operated insurance companies in our industry. 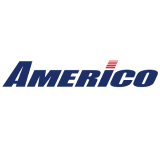 With over 100 years of experience, $6.0 billion in assets, close to 659,000 policies under administration and over $32.7 billion of life insurance in force, Americo Financial Life and Annuity Insurance Company is the lead company in one of the largest, independent, privately held insurance companies in the United States. Personalized, trusted service is the cornerstone of our business. At Americo, it’s the people who make things work. We are progressive in our thinking. We are solutions-oriented. We are accessible. We employ honest, ethical business practices. We are real people, passionate about our business. We deliver innovative product solutions that can be tailored to your situation. Our products are priced with integrity to provide long-term value to you. We provide the product education, sales tools, technology, and personalized, trusted service to help our distribution partners grow. And we’re equally proud of the many ways we give back to families. Each year, we invest millions to support causes that enrich the lives of families and communities. Whether we’re building playgrounds in underserviced neighborhoods, preparing emergency kits for victims of natural disasters or cleaning up beaches, we help families in need. 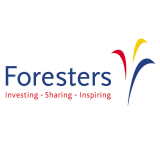 Foresters financial strength, as measured by A.M. Best Company, is rated “A” (Excellent) and has been for the past 15 years. 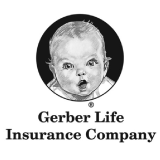 Since 1967, Gerber Life Insurance Company has provided quality life insurance, especially for young families on a limited budget. As a financially separate affiliate of the Gerber Products Company, “the baby food people,” the two companies share a common goal: to help parents raise happy, healthy children. At Gerber Life Insurance, we have an additional goal. It is our mission to be the brand that parents trust to help them achieve financial security and protection for their families. By providing affordable, industry-leading juvenile life insurance and other insurance products, we strive to give our customers the comfort and peace of mind they deserve. A.M. Best has awarded Gerber Life an “A” (Excellent) rating. 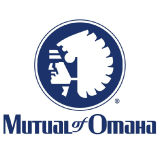 For more than a century, Mutual of Omaha has been committed to helping our customers through life’s transitions by providing an array of insurance, financial and banking products. We are a financially strong, family-oriented company based in the heart of America, with solid, unflinching values. A.M. Best rates us at an A+ for superior financial strength and our ability to meet ongoing obligations to policyholders. 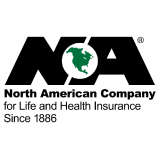 As one of the leading providers of life insurance and annuities in the United States, North American has continuously fulfilled commitments to our customers since 1886. Families and businesses alike have counted on us to be there for them during their most challenging times, and to help prepare them for the good times ahead. We have been doing this for nearly 130 years through outstanding customer service, competitive insurance and retirement solutions, and a foundation of financial strength. This unwavering commitment helps our customers focus on the things that matter most to them. North American offers something that is unusual in the insurance industry: we are privately owned. This means we are not subject to short-term earnings pressures often faced by publicly traded companies. This kind of ownership creates an atmosphere where personal, efficient service is our priority. 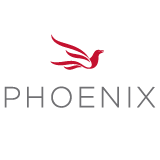 Phoenix annuities and life insurance product options help address a range of concerns like creating a predictable and lasting income stream, planning for the high cost of long term care, protecting families in case of premature death, and creating a legacy when the time comes. By partnering with Phoenix, financial professionals can help their clients plan for a secure retirement and protect their loved ones. Our A.M. Best rating is a B, under review with developing implications. At Transamerica, we believe that everybody deserves to feel confident and secure in their tomorrow. That’s why we offer smart financial tools and products to help make it easier to build a future you can count on. We’re much more than an insurance or financial services company — we’re your partner in tomorrow. 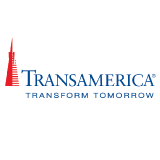 Transamerica has earned A.M. Best’s A+ rating.